As the year winds down, we're overwhelmed with a sense of gratitude for you, the friends and family of Erin Murphy Literary Agency. Thank you for your support! Here's wishing you a wonderful holiday season and a happy new year full of peace, joy, and loving kindness. See you in 2015! A Burning Star for Trent Reedy! It's a starred review from Publisher's Weekly for Trent Reedy's BURNING NATION! They praise the second installment of the Divided We Fall trilogy for opening "with a bang" and say "Reedy spins an action-packed cautionary tale, allowing both state and federal viewpoints their strengths and weaknesses, stopping just short of condemning both sides while acknowledging the validity of their arguments. It's a complex story rooted in current events, all the more worrisome for its plausibility." Look for this one next month. Congratulations, Trent! Sometimes things happen so quickly that you don't really get to talk about them until they're almost done. Such is the case with Jennifer Ziegler's latest deal! When Jenny's REVENGE OF THE FLOWER GIRLS came out, Kirkus said the triplet protagonists made "sisterhood seem almost magical," SLJ enjoyed the "genuine humor in the hijinks the girls devise," and Publishers Weekly said the book would "have readers wishing the Brewsters lived on their block." The book did beautifully for Scholastic, but due to a few things behind the scenes, they didn't pull the trigger on a sequel until this fall—and the sequel they chose, of the ideas Jenny had, was a Christmas book, which means it had to be done basically RightNow in time to make the fall 2015 list. And so it is that four months after Jenny's May release of FLOWER GIRLS, we had a deal for REVENGE OF THE ANGELS, and two months after that, Jenny had turned in a manuscript (Whew! Good job, Jenny! ), and a month after *that*, we are finally able to tell the world about it! But it seems especially appropriate to be celebrating this particular book right now, at holiday time. Once again, the wonderful Erin Black is the acquiring editor, and this time, those clever Delaney triplets are *not* happy to be cast in the Christmas pageant as angels instead of as the three wise men, as they'd planned. Naturally, more humor and hijinx ensue! I can't wait to share this one with readers. Congratulations, Jenny! Elaine Vickers Knocks It Out of the Park with a Double-Debut! It's a joyous week when you get to announce two debut deals—and this week might just take the cake. Elaine Vickers is one of those super-hardworking and talented authors that you just know are going someplace big. And this deal has a particularly sweet history: While the manuscript was on submission, I happened to see a tweet from an editor who was looking for, among other things, "middle-grade a la Penderwicks." Well, I thought. I've got that! So I sent LOST & FOUND to HarperCollins, and I set about waiting. Turns out that I didn't have long to wait at all! This warm, classic MG story is about three young girls, each with their own POV, each undergoing a big change in her life, who meet and become friends when they each find a mysterious box in their library's lost-and-found. All of this wrapped in a rich, warm voice that is classic MG through-and-through. To our great delight, LOST & FOUND sold very quickly to Emilia Rhodes at HarperCollins, in a two-book deal! So keep an eye out for this book, folks—it's a keeper, and Elaine Vickers is a name you should get used to hearing a lot of in future. There's a wonderful new deal to announce today, and what better subject could there be, during this bustling holiday season, than the most aptly named picture book, BE KIND? 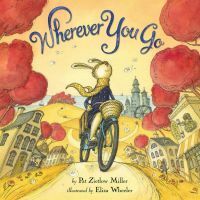 This project began as the idea-child of fabulous editor Connie Hsu, who had worked with our own Pat Zietlow Miller before (on the forthcoming WHEREVER YOU GO—look for it in May 2015! ), and thought Pat would be the perfect author to explore this subject in a story for young readers. Pat set to work and, after her exquisite craftsmanship was complete, turned out a picture book that is as at once simple and unique, and truly gorgeous. I am delighted to share today that BE KIND was acquired by Connie Hsu for her new list at Roaring Brook, with the fabulous illustrator Jen Hill attached to illustrate. Congratulations, Pat, on another terrific picture book to come! Oh, how exciting it is to announce an author's debut book deal! There really is nothing like it, is there? And the more so when the story in question is itself one of those exceptional, stand-out pieces that you just know is going to change a little bit of the world. Megan Wagner Lloyd signed on to be my client earlier this year, and in the time we've worked together on various wonderful and exciting projects—revisions here or there, a tweak or two, some rethinking, each time getting a little closer to the goal. And then one fine Fall day, I received an email from Megan titled "New PB Manuscript—FINDING WILD." I cracked the brand new manuscript open, intending just to take a peek... and I was captivated. This gorgeous, moving ode to finding beauty in the world all around us gave me the shivers from that very first read. I wrote Megan back telling her I didn't want to change a word. Off it went into the world. Just over a month later, we had an offer in hand! I'm delighted to say that FINDING WILD was acquired by Julia Maguire at Knopf, and will be illustrated by Abigail Halpin. Keep a lookout for this gem, people! You won't want to miss it. Never give up: That's the message behind our latest news—Liz Garton Scanlon's picture book ANOTHER WAY TO CLIMB A TREE has sold to Neal Porter at Roaring Brook. And the message works in two ways. First, because the protagonist of our story is a tree-loving girl who's confined inside one day, and yet longs to be up in the branches in her neighborhood. That's right, she finds another way! And second, Liz and Neal have long admired each other's work and wanted to work together, but it took several tries to find the just-right project to make that happen. And when Neal signed this project, he took about three seconds to also sign up-and-coming illustrator Hadley Hooper, whose work in this year's THE IRIDESCENCE OF BIRDS and HOW I DISCOVERED POETRY has really caught our eyes. What a combination! Some things are just better in twos, that's all there is to it. Such is the case with TWO NAOMIS, a middle-grade novel, in which two girls named Naomi, who live in the same city and are the same age, whose parents are dating, must learn how to forge their own identities and a new definition of family, even as they negotiate the preservation of their own very different routines and cultural traditions. The lovely Kristin Rens at the Balzer + Bray imprint at HarperCollins did the deal. Congratulations, Gbemi and Audrey! Lynda Mullaly Hunt's FISH IN A TREE gets a starred review from Booklist! 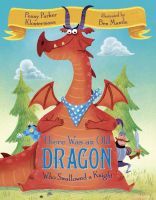 They say it's "filled with a delightful range of quirky characters and told with heart, the story also explores themes of family, friendship, and courage in its many forms." They also praise it as "an excellent class read-aloud." This will be one to watch for when it releases February 5th. A huge congratulations, Lynda! NEW SHOES to Show Off! What's better than a starred review? A starred review featured in PW Children's Bookshelf with the Black Friday Report edition! 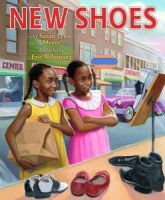 They praise Susan Meyer's NEW SHOES by noticing "it isn't easy to make a story seem as if it's telling itself, but this gripping piece of historical fiction does just that. Meyer's prose is vividly precise in its detail; the girls' optimism and determination is almost palpable." WOW! A huge congratulations, Susan! Hear ye, hear ye! We have a deal to announce! In a magical land (Austin), long, long ago (September) . 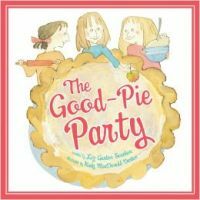 . . Penny Parker Klostermann discovered the Complete Picture Book Event in a new kingdom of the Writing Barn. There, along with several fellow EMLA kingdom courtiers, she studied under the wise tutelage of esteemed court magicians, Lady Erin Murphy, Lady Audrey Vernick, and Lady Liz Garton Scanlon. The Kingdom of the Writing Barn was in awe. For Penny Parker Klostermann's most beautiful story glittered and gleamed. So they helped her polish it in preparation to offer it as a gift to a royal queen, Maria Modugno, in a far-off land (New York). It was accepted with grace and will now be published throughout all the lands. But wait. What's that we hear? An addition? Tis true. An addition to the glittering text of the esteemed Lady Penny! It's Sir Ben Mantle, of another distant land (England), who will sketch wondrous imagery for such gleaming text. Huzzah! Penny Parker Klostermann, illustrated by Ben Mantle's A COOKED-UP FAIRY TALE, a fractured fairy tale where a well-meaning chef accidentally cooks with ingredients essential to famous stories (Jack's magic beans, Snow White's apple, Cinderella's pumpkin), to Maria Modugno at Random House Children's, for publication in Summer 2016, by Tricia Lawrence, Erin Murphy Literary Agency for Klostermann and The Bright Group for Mantle (World). Many well-apportioned salutations to you, Penny! The kingdom of EMLA is muchly proud. We bid you well! And again, Huzzah! Danger! Intrigue! And now a cover to boot! We're pleased to introduce you to the newly-released cover of Peter Millett's JOHNNY DANGER: D.I.Y. SPY. Isn't it great? Stay tuned for more on this fun middle-grade novel. You won't want to miss it. Congratulations, Peter! Jennifer Chambliss Bertman's BOOK SCAVENGER has a cover! That's right, this exciting middle-grade adventure will be out June 2nd, 2015 and the cover is ready to roll! The book is sure to please with a blend of mystery, puzzles, and great characters. While you wait for its release, hop on over to Colby Sharp's blog for Jennifer's cover reveal and interview. Congratulations on an awsome cover, Jennifer!